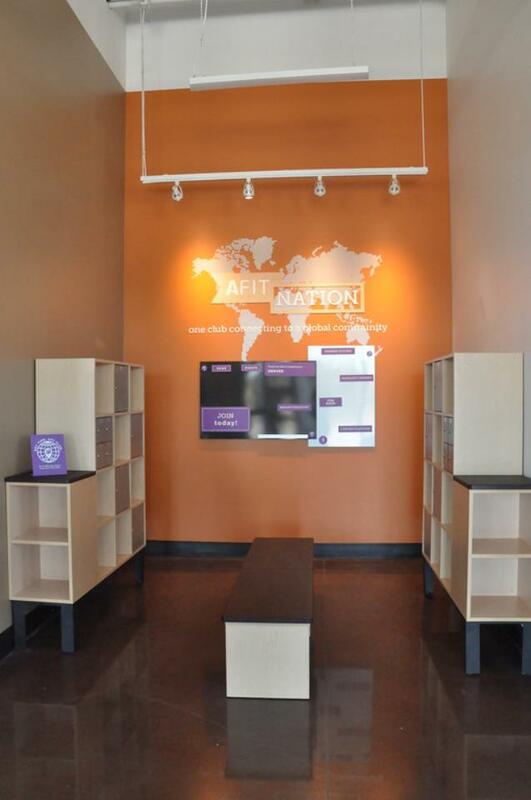 Anytime Fitness Stapleton wants to help you get to a healthier place! 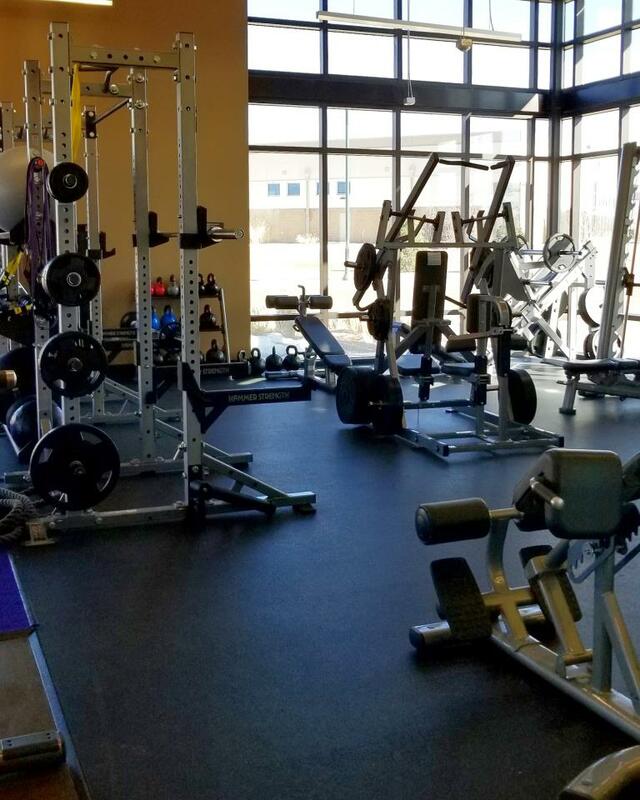 Our 3600 square foot facility with tons of beautiful natural light offers cardio equipment, strength equipment, functional training, and free weights, with an additional 1200 square feet of outdoor patio space for training outside (weather permitting)! Personal Training is available at this location. 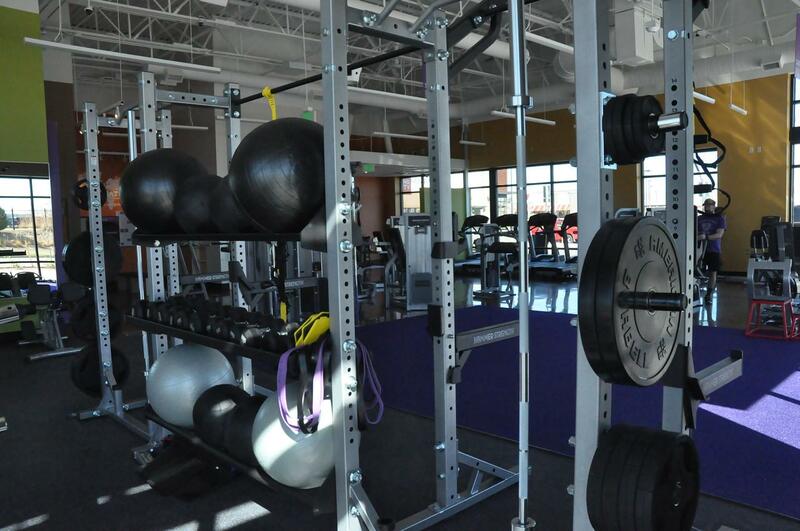 We'd love for you to call us your gym home - come in for a visit! Scott grew up in Texas (mostly, but all over the world as a military brat). He got a B.S. in Psychology and M.Ed. in Higher Education from Texas A&M and a JD from the Univ. of Houston. He moved to Stapleton with Kim and their two kids in 2012. His “other job” is working as a legal and risk management consultant in education, and he is one of the nation’s experts in college legal issues, Title IX, general misconduct and civil rights discrimination on campuses. See his other work at www.NCHERM.org. He works with thousands of campuses and athletic departments, the USOC, and K-12 schools all over the country. 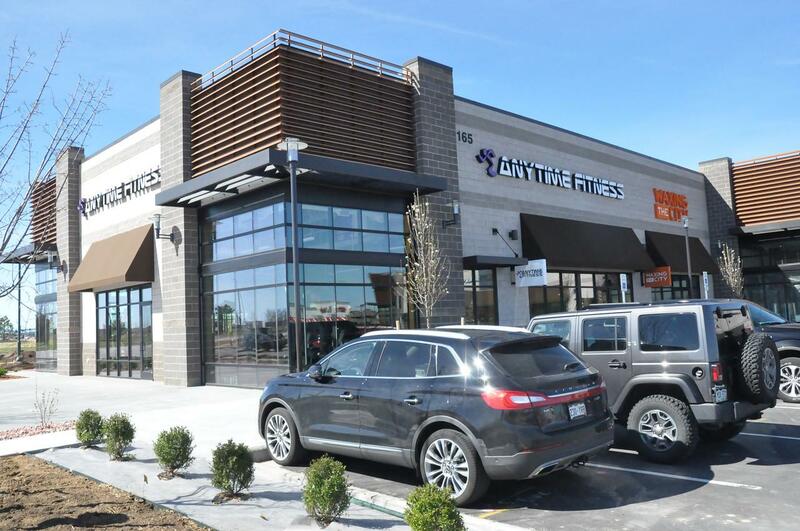 He joined Anytime Fitness as a member in 2004, and is excited to bring to Stapleton the concept of “getting to a healthier place no matter where you begin your journey” with Kim and the staff. A lifelong athlete (mostly football), he enjoys playing all sports, games, coaching his kids, going to sporting events, concerts, the theater and getting to the mountains whenever possible. Kim, a native of Maryland, moved to Stapleton with her husband and two children in July 2012. She holds a BA in English from Salisbury University in Maryland and a M.Ed. in Student Personnel Services from the University of South Carolina. She worked in higher education for 17 years with many roles in the areas of wellness promotion and education, and was a certified licensed massage therapist for four years. Kim is committed to helping people reach their personal goals in a holistic way and understands that getting to a healthier place is a journey. In her spare time she loves to read, sing, attend concerts and the theater, and spend time with family. 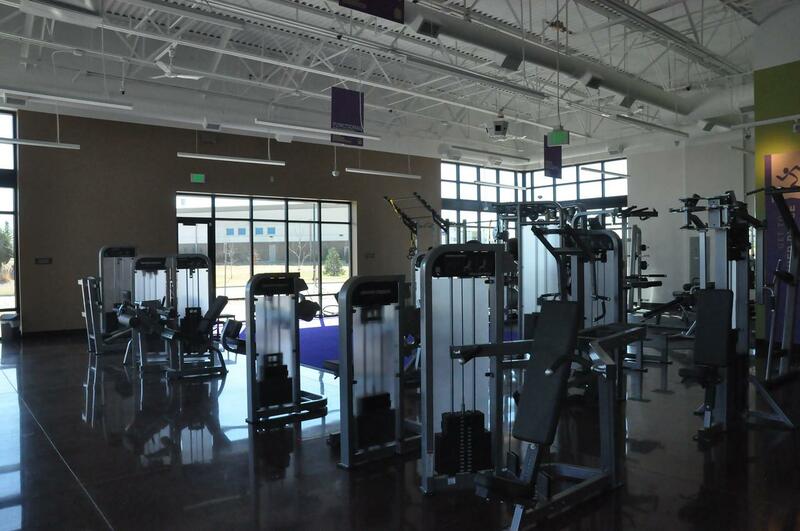 She and her husband, Scott, are excited to be bringing the Anytime Fitness experience to Stapleton! Jennifer is a Colorado native with 20+ years of fitness industry experience in operations management, personal training and fitness instruction. She believes that good health is one of our greatest assets, and our quality of life is dependent on it. Jennifer has a B.S. in Biology with a Chemistry minor from Metro State University of Denver. She currently holds a personal training certified through AFAA . Throughout her career in the fitness industry Jennifer has trained a variety of populations consisting of athletes, adults with various goals/health objectives, children, and older adults. She has also enjoyed instructing fitness classes such as HIIT, Bootcamp, and Cycling among others as well as leading community health management programs focused on cancer survivors, chronic illnesses, childhood obesity & early onset diabetes. 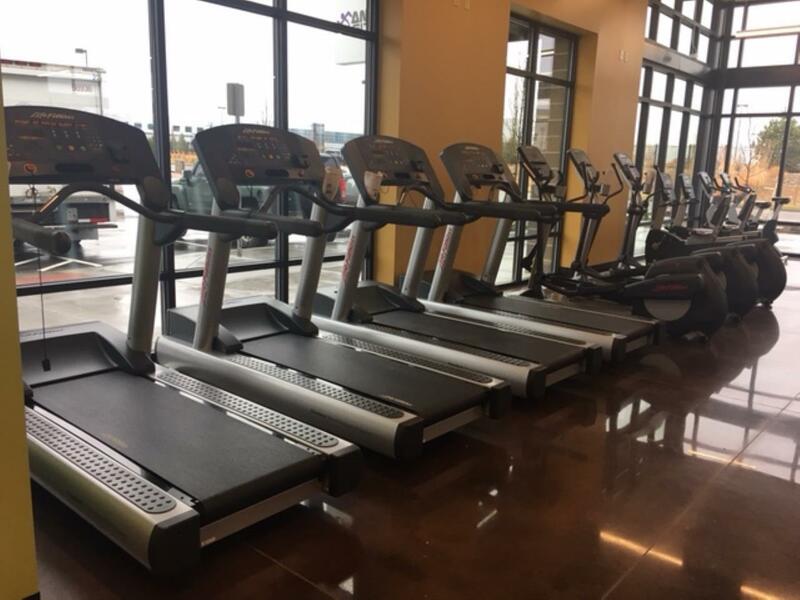 She chose to align with Anytime Fitness because of the value they add to a community and the importance they place on each individual member. Jake, our Member Experience Manager, is originally from Illinois and moved to Colorado in June of 2011. He is an athlete who, since the age of 10, has played football, baseball, basketball, and ultimate frisbee. In early high school, his step-father introduced him to weight lifting, which he absolutely fell in love with and decided to make that his primary sport. His original plan out of high school was to study aviation at Metro State University in Denver. Early on into college he decided that being a pilot just wasn’t for him, so he decided to get into what he loved most and set his focus on the fitness industry. He currently holds a personal training certification through the American Council of Exercise (ACE). His plans for the future are to specialize in Sports Conditioning and Performance with hopes to work with all types of athletes. Jake is extremely happy to be part of the Anytime Fitness family, and looks forward to giving it his all to help everyone live a healthy life. Frank is a Colorado native who enjoys sports, but his passion for skateboarding is what lead him to becoming immersed in fitness. The resulting rehab from a skateboarding accident, and the awareness of how imbalances within the body can affect one's ability to perform physical activities, redirected his focus and led to the process of helping others on their fitness journey. His deep appreciation for the science of physical fitness fused with his desire to help others become their best selves and became the foundation for his career endeavors. Frank is seeking a degree in exercise physiology with a minor in nutrition at Metro State University and has his personal training certification through the National Academy of Sports Medicine (NASM). Frank is excited to be on the Anytime Fitness training team and loves working with our members. He says as much as they compliment him for being a great support, he is the lucky one to have the opportunity to get to know so many great people. Eric was born and raised in Houston, Texas. He played competitive soccer and basketball, with his main focus being soccer. Eric began weight training at the age of 18, where he soon found his passion for fitness and training. Eric completed his first 3 personal training certifications through National Academy of Sports Medicine, earning NASM- CPT, and NASM- PES. Since beginning training, he has accrued over 5000 hours, training a variety of clients from weight loss to body building to athletes and geriatrics. 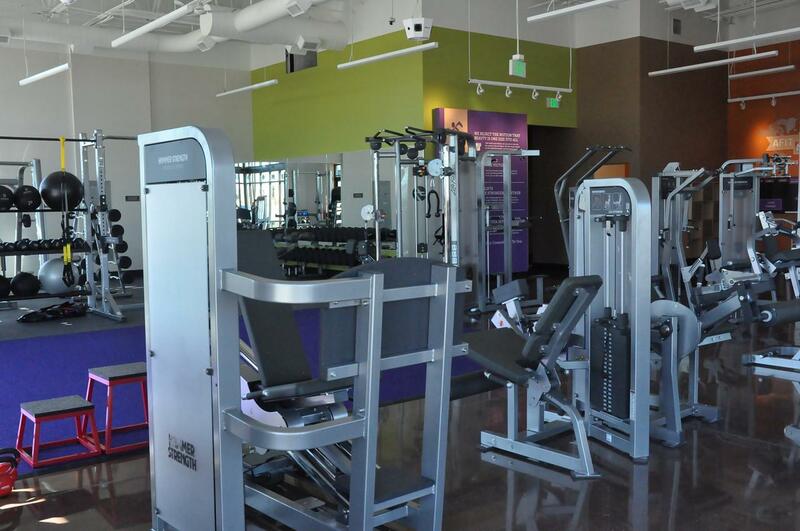 Eric has also managed several large gyms in the Houston area. In his free time, Eric likes to hike and bike with his wife and play with their two dogs. He is currently certified through NASM.